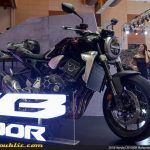 Home Year 2018 Boon Siew Honda previews 2018 Honda CB1000R – RM80,000? 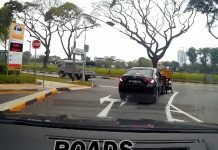 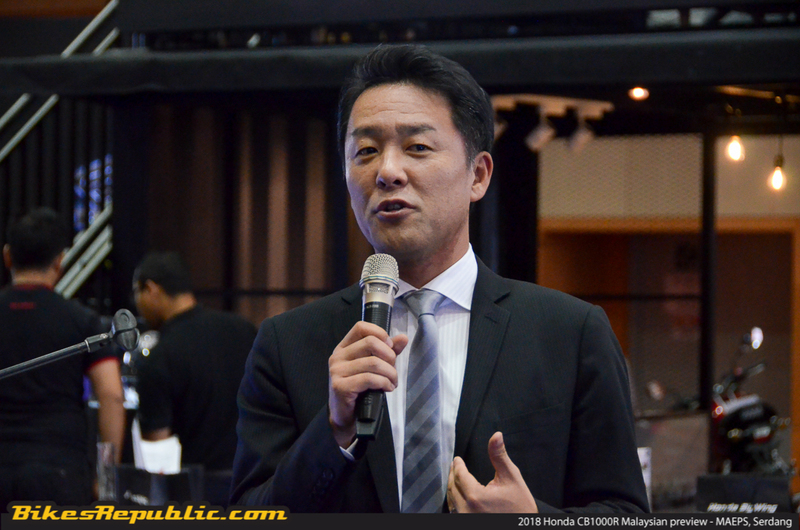 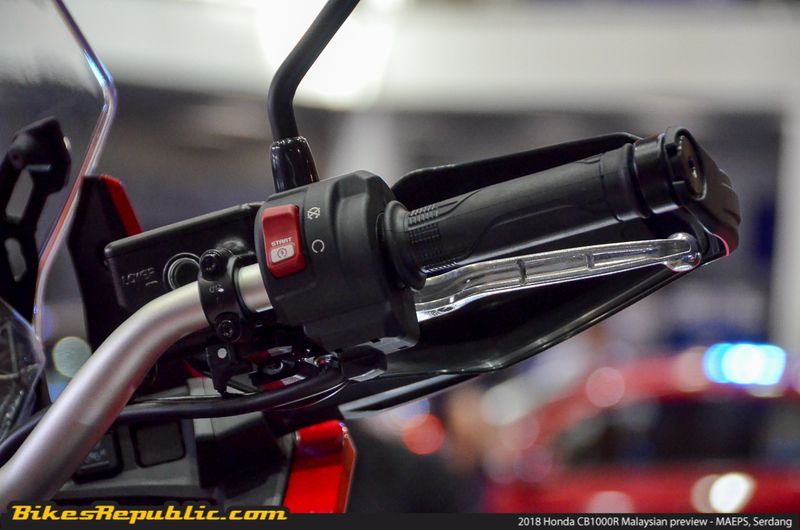 Boon Siew Honda previews 2018 Honda CB1000R – RM80,000? 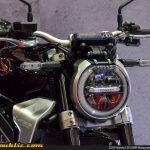 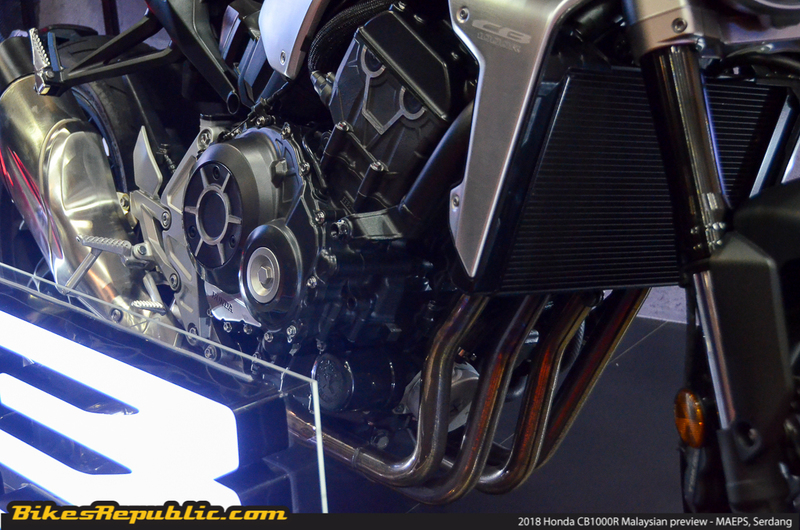 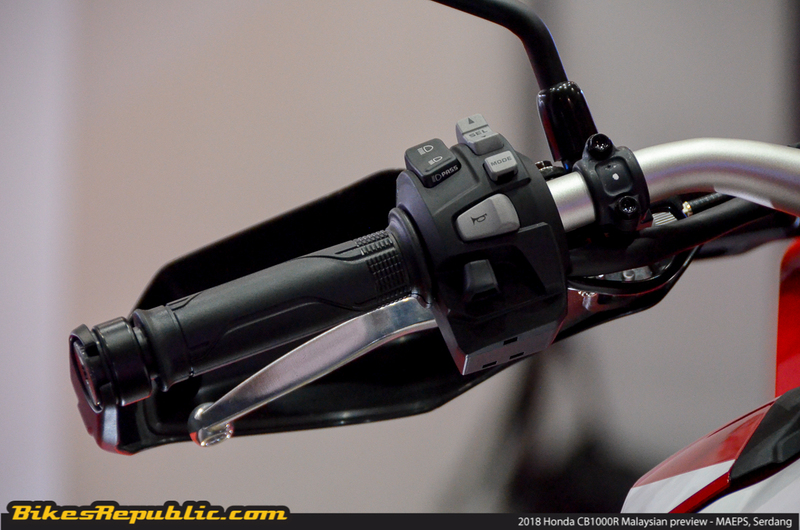 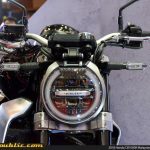 Boon Siew Honda (BSH) previewed their super naked 2018 Honda CB1000R at the Malaysia Autoshow 2018. 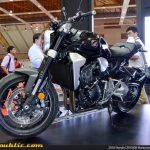 Known as the “Neo Sports Cafe”, the CB1000R is essentially the naked version of the Honda CBR1000RR Fireblade superbike. 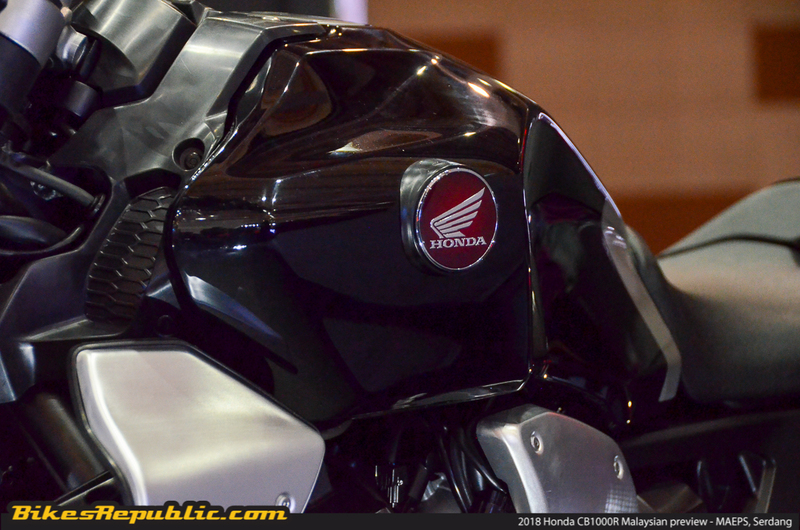 No official price has been revealed yet but BSH has hinted that it might be around the RM80,000 mark. 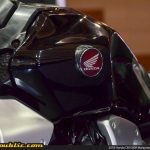 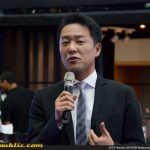 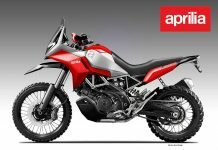 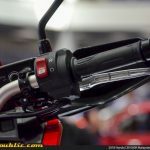 It was only yesterday when Boon Siew Honda (BSH) announced the official prices for the highly-awaited 2018 Honda X-ADV adventure scooter as well as the 2018 Honda CRF1000L Africa Twin series. 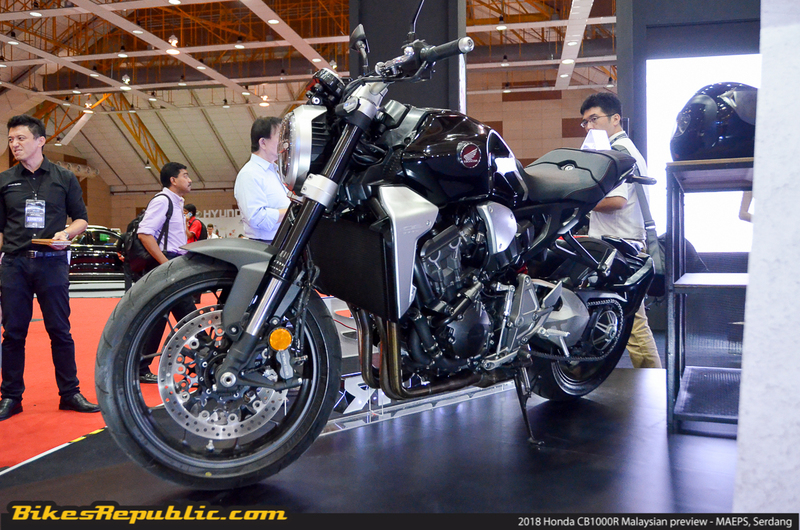 Unveiled at the Malaysia Autoshow 2018, BSH also previewed the beautiful 2018 Honda CB1000R naked performance machine. 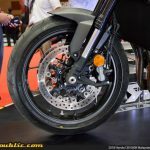 Introduced to the world last year during EICMA 2017 in Milan, the 2018 Honda CB1000R aka “Neo Sports Cafe” has the same engine as their top-of-the-line Honda CBR1000RR Fireblade superbike. 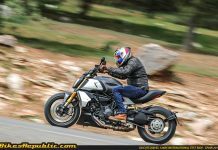 Its Euro4-compliant, 998cc, inline-four engine is said to produce a whopping 143hp at 10,500rpm and 104Nm of maximum torque at 8,250rpm. 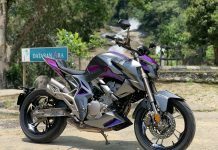 All that tasty power is transferred down to the rear wheel via a Ride-by-Wire throttle control system which the rider can select different throttle maps according to the riding conditions or preferences. 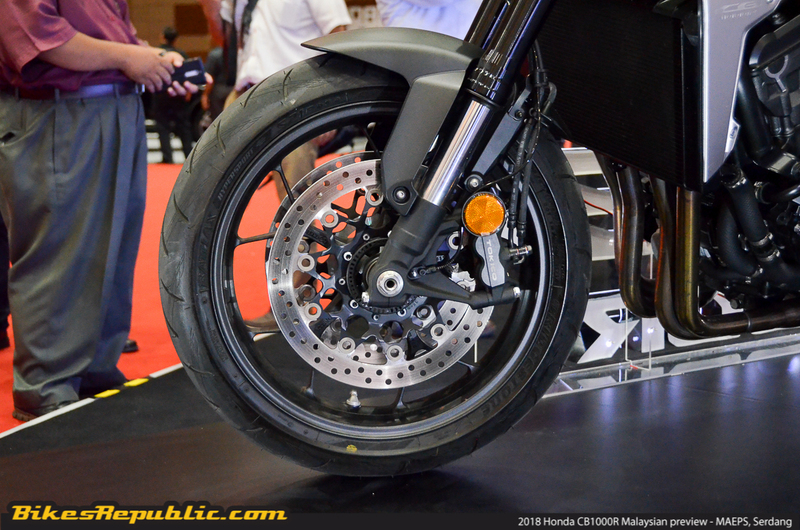 Fitted with a slipper-and-assist clutch, the new CB1000R ensures no power wastage, easier roll-off, smoother downshifting, and improved cornering stability. 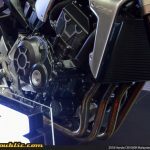 Other special features include Honda’s traction control system, selectable power maps, engine braking control, all-around premium Showa suspension system, and many more. 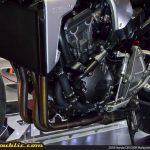 You can say that this is the naked version of the CBR1000RR Fireblade and the bike looks even more beautiful in real life. 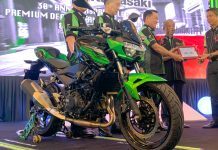 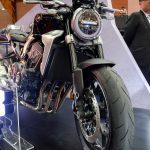 Fans can check the bike out being displayed throughout the weekend at the Malaysia Autoshow 2018 in MAEPS, Serdang. 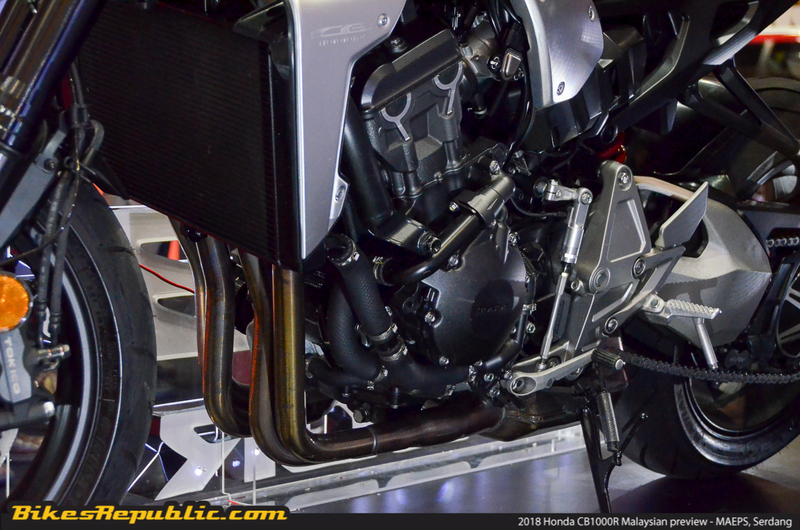 The bike on show, however, is still a prototype version which means that he finalised model will have slight changes. 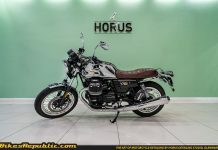 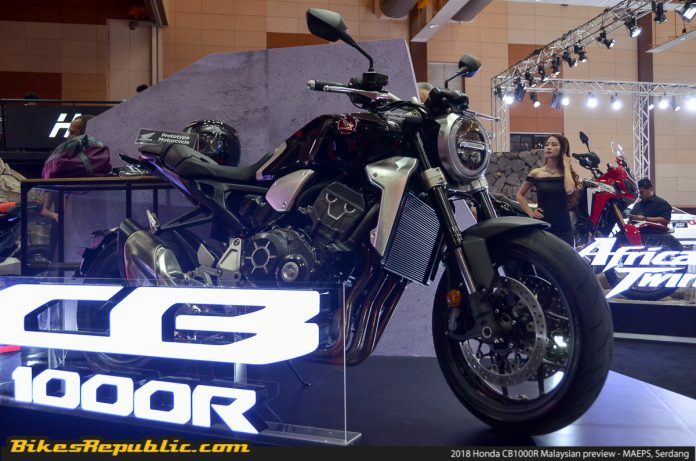 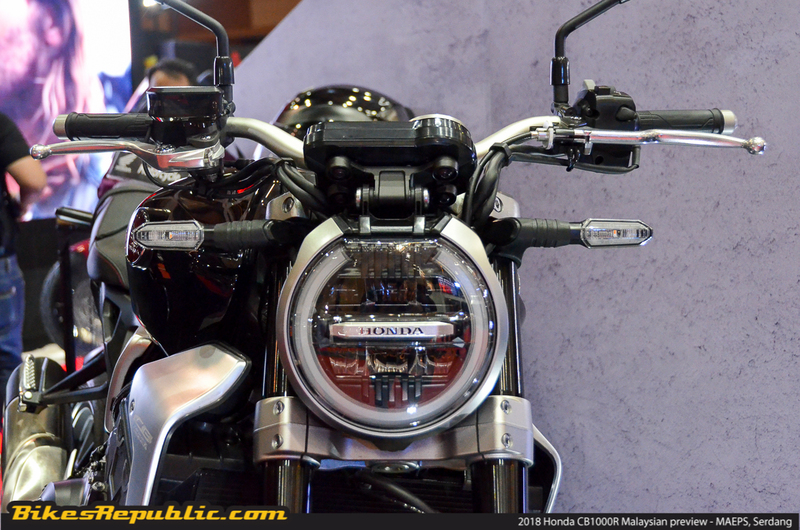 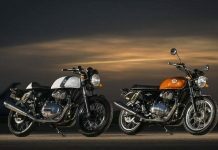 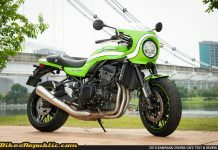 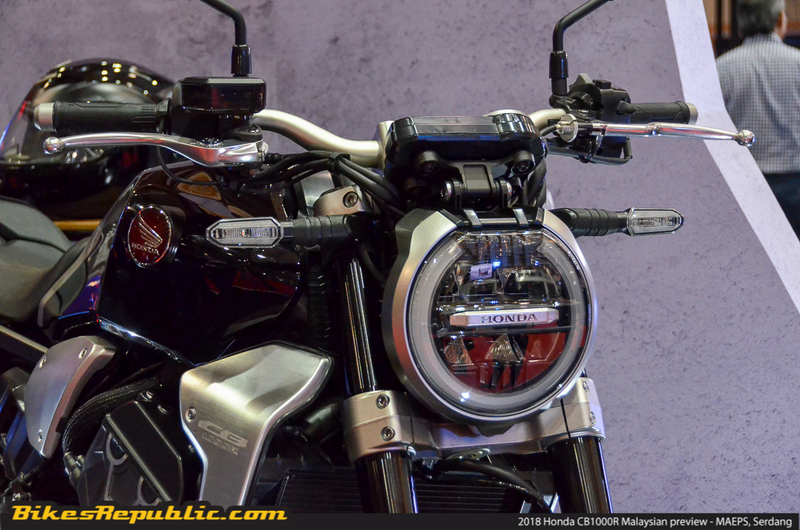 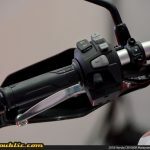 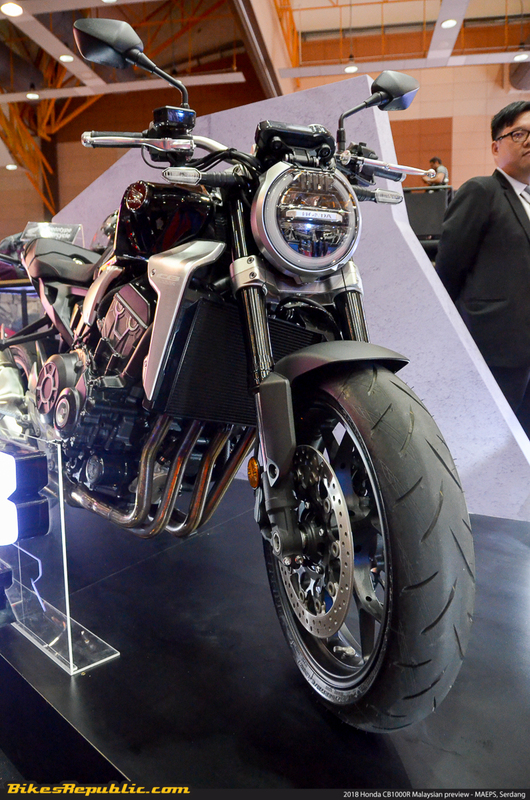 BSH also stated before that the bike will be priced around the RM80,000 mark.